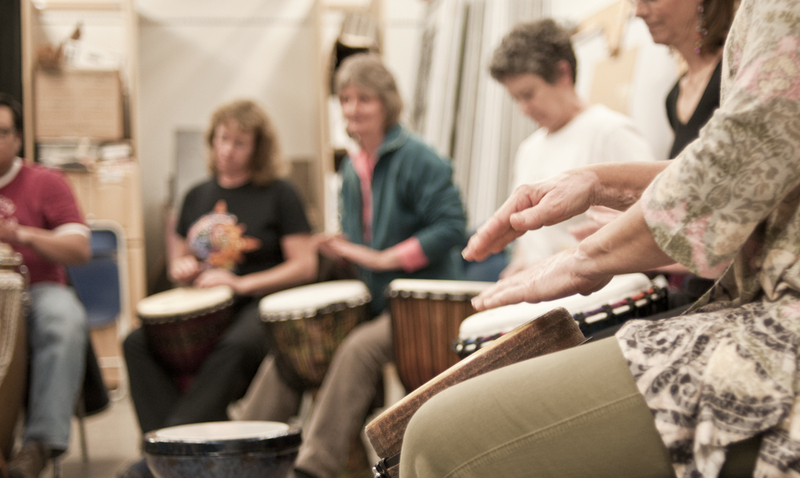 Feel The Rhythm Drum Circles uses drumming as a holistic approach to health and wellness. Playing simple rhythms does not require advanced physical abilities or specialized talents, it is rather used to relax the mind and body. It also helps to improve motor skills and is an empowering experience for the individual. Drumming also creates a community where we support each other in a powerful shared experience. Drumming is an exciting activity that grounds us in the present moment and nurtures our mind, body and spirit. It is here we truly experience who we are. 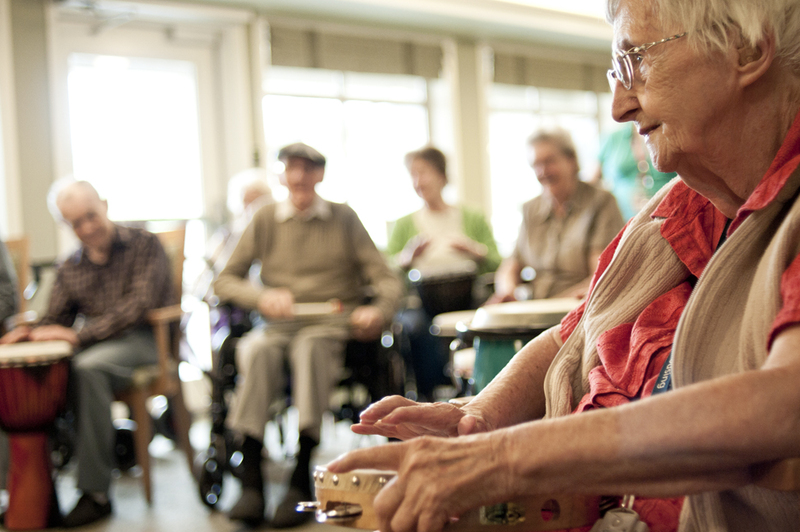 When we drum with others, we connect with the group and bond as a community. Drum Circles reflect healthy values and group dynamics, and become a safe environment for everyone to express themselves.